Big Lots, the popular closeout store chain, is undergoing a makeover in its groceries department. The retailer is in the midst of expanding its grocery aisles throughout its 1496 stores nationwide. This change comes as the Ohio-based company notes that another Ohio favorite chain, Kroger, has increased its sales significantly. In an attempt to woo middle-class consumers away from Kroger and other grocery chains, Big Lots has decided to add more perishables and non-perishables. Soon consumers will be able to purchase low-priced quinoa, chips, soda, and even ice cream from the discount retailer. The change comes as no surprise to retail analysts, especially as the battle for the consumer's dollar continues. Dollar stores, Walmart, and discount retailers are all trying to win back sales from the bargain-seeking shopper. 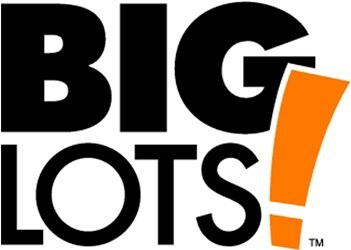 Big Lots' sales have dropped marginally, but it's still a noticeable dip, and the retailer wants to rebound. This move is smart as Family Dollar and Dollar General are slightly stalled on their upcoming merger; Big Lots can make a big play with groceries, by offering a value that matches that of their “dollar” colleagues. Big Lots won't offer a selection to rival grocery stores, but will include many of the common staples a typical household needs, such as eggs, butter, and dry goods. Other retailers, such as pharmacy chain Walgreens, already try to drive sales on food, with expanded sections offering prepared meals, packaged salads, condiments, cereal, milk and more. The goal of all of these retailers is to make it easy for consumers to shop for a number of things under one roof. Big Lots will be helping the everyday consumer grab essentials at an affordable price with its “never-outs” section, which focuses on 500 popular foods, such as Kraft Macaroni & Cheese, Nutella, MiracleWhip, A1 Steak Sauce and more. They're currently adding freezers in many of its stores, and expanding grocery sections in all of its stores. “When I came to Big Lots 14 years ago, every store had a wall of freezers," he said. After years of doing without them, Big Lots has installed an aisle of freezer-coolers in about 300 of its stores (including all 104 of its Ohio stores) to sell dairy, deli, frozen entrees and ice cream. "We're more in competition with Dollar General and Family Dollar on the foods they sell,” says Bob Skinner, District Manager of the Northeast retailer's Ohio stores. With many of today's middle class families living paycheck to paycheck, retailers in the bargain space are trying to do everything they can to pull these families into the stores. The company has changed their signage in stores to advertise the new selection and the fact the store accepts SNAP and EBT cards. The store is smart to do so, as over 46.5 million receive SNAP in America. Stores also expanded their ethnic section, and the varieties available depend on each store's demographics. “This is just another way we are building on our promise of surprises in every aisle, every day,” says Andy Stein, Big Lots chief customer officer.